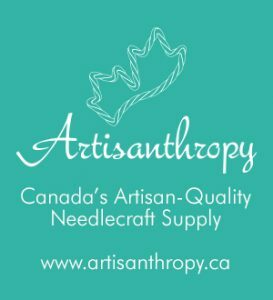 I’ve just launched my online shop for needlecrafts enthusiasts, selling pearl cotton, tatting needles, embroidery needles, crochet hooks and more, to customers in Ontario, across Canada, the United States, into the United Kingdom, and across Europe, as well as worldwide. Check it out at Artisanthropy.ca. Payment is accepted via MasterCard, Visa and Paypal. I did my best to keep shipping prices as low as possible, as well as prices on the actual thread. Hopefully in future I’ll be able to offer free shipping options, but for now I charge at-cost to keep things as fair as possible. I really hope you enjoy the selection of pearl cotton yarns I’ve got there!